Following Amartya Sen’s insistence to expand the framework of rational choice theory by taking into account ‘non-utility information,’ economists, political scientists and philosophers have recently concentrated their efforts in analysing the issues related to rights, freedom, diversity intentions and equality. Thomas Boylan and Ruvin Gekker have gathered essays that reflect this trend. The particular themes addressed in this volume include: the measurement of diversity and freedom, formal analysis of individual rights and intentions, judgment aggregation under constraints and strategic manipulation in fuzzy environments. 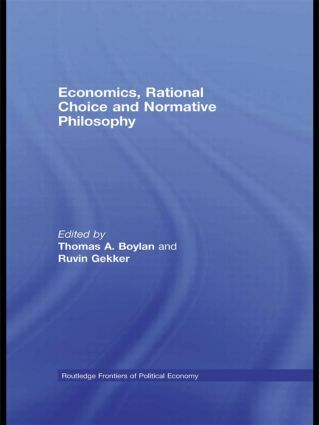 Some papers in the volume also deal with philosophical aspects of normative social choice.